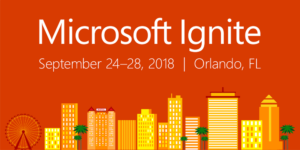 If you weren’t able to attend Microsoft Ignite 2018, as I wasn’t, there were a lot of great announcements by Microsoft in all product areas. I’ve done some research and pulled together the highlights of the announcements and in this blog post I’m going to focus on the key announcement areas specific to SharePoint Online, and the associated Microsoft online services. Unfortunately, there wasn’t a lot announced about SharePoint Server 2019. NOTE: Not all of these announced features and capabilities are in production at this point and time. The expected release date for these features and capabilities is between 2018 Q4 and by the end of the first half of calendar year 2019. Page title region – more control over title region of page by choosing layout, alignment, etc. Microsoft is constantly striving to improve the search experience, so it wouldn’t be a true Microsoft conference if there were some great announcements about Search. Microsoft announced they are expanding the Office 365 personalized search, introduced at Ignite 2017, to now encompass search inside and outside of Microsoft 365. (If you’re not familiar with Microsoft 365, it is an integrated bundle of Windows 10, Office 365, and Enterprise Mobility + Security or EMS). Microsoft will be using artificial intelligence (IA) from Bing to surface the results via Microsoft Graph. Your search results will not just include hyperlinks to information, it will also be a way to present answers to questions, provide suggestions, and allow you to take actions on your tasks. Reminder: Not all of these announced features and capabilities are in production at this point and time. The expected release date for these features and capabilities is between 2018 Q4 and by the end of the first half of calendar year 2019. Microsoft will be making individual announcements as the new features and capabilities are released.